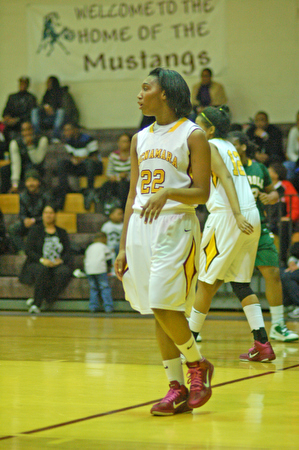 Last year, Bishop McNamara went one whole football season with zero wins. Coaches, students, and players were devastated. Now, many people still want to know why, even as the team began winning more games in 2018. Varsity quarterback Miles Miller ‘19 said, “Winning a few games this year feels great compared to last year.” He said this year they had a better team with better chemistry. He said his players had to depend on and trust each other more, as well as the coaching staff had to trust the players. According to several players, last year’s varsity team just was not in the right place. They wouldn’t work together as a team, and that put a strain to how they played. Varsity football head coach Mr. Keita Malloy said he felt good when his team was up, and bad when they were losing. As a coach, it is always difficult knowing his team put in all the work they had and then the turnout was not what was expected or planned. BMHS Baseball: How Far Will They Go? Bishop McNamara’s baseball season is just around the corner, and a strong team is beginning to form. The high competition level among these young athletes was set early, and is consistently rising as the February 20th tryouts approach. Varsity Head Coach, Anthony Sosnoskie has been evaluating his rosters and has high expectations for this season. Sosnoskie said, “All teams take shape during the season, but there are different layers to build on after ten months of prep. Whether it’s off-season workout plans or in season work, we are preparing. As a coach, you start to look at what we do well, what we don’t do well, and how we can improve.” From October through December, the team has been working hard on the field, in the weight room, and in the classroom. The baseball program has also been involved in various community services, which include volunteering at the District Heights Fire department and participating in Wreaths Across America. During the offseason, the baseball teams have also been working with Sean Fraser, a yoga instructor in Maryland. Fraser said, “The biggest benefit, is mental strength. When Michael Phelps is about to swim at the meet you best believe he is focused, and not distracted. This is why meditation is important. When you are able to focus all of your attention on the present game, exam, challenge, or problem you can usually figure out a solution more clearly and quickly.” First baseman of the Washington Nationals, Ryan Zimmerman has also turned to yoga. “It’s the hardest thing I do for an hour. But after I’m done, it’s definitely worth it. By the end of last offseason, I really started to notice myself getting better at it and how much better I felt in my body”, Zimmerman said in an interview with an MLB reporter. Other teams in the MLB have also been promoting yoga, such as the New York Yankees and the Chicago Cubs. This season, Sosnoskie plans on carrying sixteen to eighteen players per roster, which brings up the question, “Will cuts have to be made before the start of the season?” The answer to this question has remained unclear, but at the moment, there are about thirty-five players who plan to tryout. One thing is certain and that is the competition for playing time between the returning and newer players. Coach Sosnoskie said, “There’s always competition out there everyday. If I had to write a line-up today, I don’t know what it would look like. I’m just waiting for the cream to rise to the top. Michael Scott has caught a lot of varsity games. There are also a lot of freshman who are competing to get out there and catch some as well. Miles Peterson is one who comes to mind.” Even with the competition among these athletes, Sosnoskie has said that they are a very close knit team that come to play every day. With the season quickly approaching, the players have set their goals and are ready to leave it all on the field. First Baseman, Jared Mammano said, “Goals for myself are to play the game how it’s supposed to be played, not to let any moment get bigger than me, and to just do my job.” Catcher, Miles Peterson said, “My biggest goal is to get a batting average over .300 and a pop-time under 1.9 seconds.” Everyone on the team is able to accomplish their goals with the support of their teammates and the coaching staff, which is compiled of Anthony Sosnoskie, Andy Schindling, L.J. Hoes, Micah Headd, Mike Wright, Jordan Martinez, and Aaron Graves. 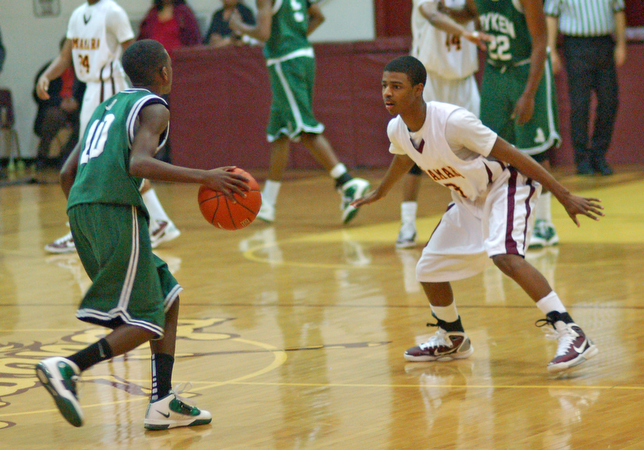 The first game of the season is an away game on Saturday, March 10th at 12 p.m. against Sidwell Friends. Come out and support your Bishop McNamara baseball program. Despite opposition from some coaches, this year the Washington Catholic Athletic Conference has adopted a new schedule for soccer teams. The new schedule has cut the number of conference games in half — nine for boys, eight for girls. In addition the amount of total games allowed has been slashed by five to twenty. One of the coaches against the schedule change was Bishop McNamara Boys Soccer Coach Mr. Robert Nolte, who believes that the significant cut in conference games will create less parity in the WCAC. Although Mr. Nolte disagrees with the change, he does see some positives to it. “I think we were playing too many games in our season. When we are playing at least two, sometimes three games per week over the course of two or so months, it puts a lot of wear and tear on an athlete’s body,” Nolte said. This was one of the major factors cited in the case to change the schedule. Many of the players, both boys and girls, don’t like the new schedule. 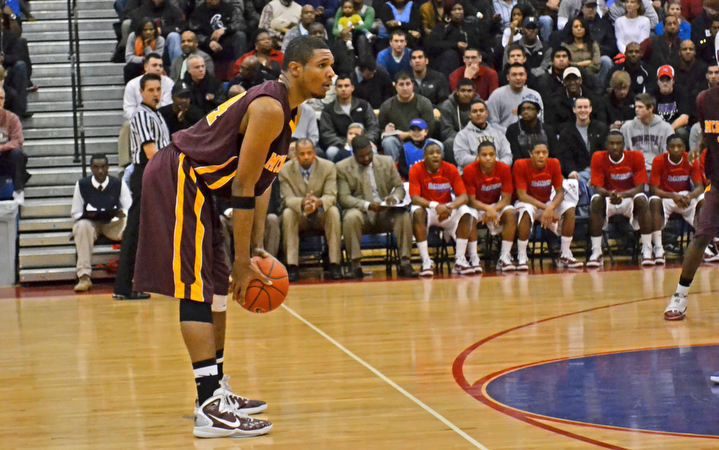 Boys Varsity goalkeeper Tarik Endale ‘12 said, “I liked the old schedule better. There are no second chances against teams now, and I like having more games to play.” Mike Andreozzi ‘12 and Stephen Czecha ‘12 both reiterated what Endale said, complaining about having less games when they really just want to play soccer. 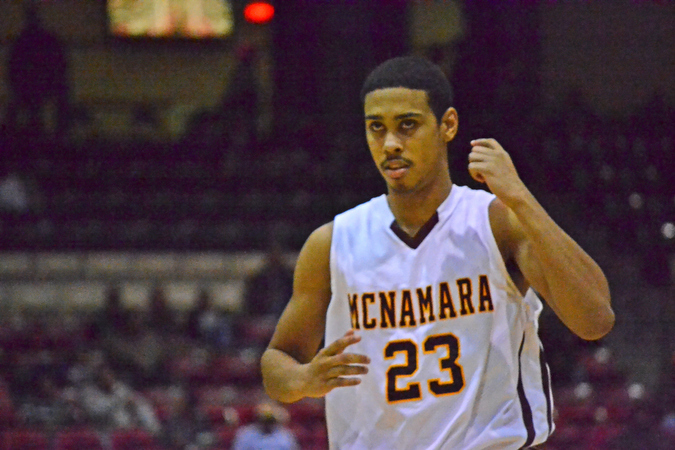 Andrew Feather ’13 introduces a new show that catches up with McNamara coaches about the progress of their teams throughout the year. In the first episode, Varsity Football Coach Bryce Bevill discusses the team’s opening loss against Landon and looks forward to the teams next game against Paul VI. In February, first year McNamara softball coach Angelina Diehlmann claimed that her team would be “on the map” by the end of the season. Not too many believed her, but she stuck to her word and came one run away from perfecting her vision. After a shaky 2-6 start to the season, a spark was lit in the team and a massive win streak ensued, beginning with a 7-1 victory over Good Counsel. 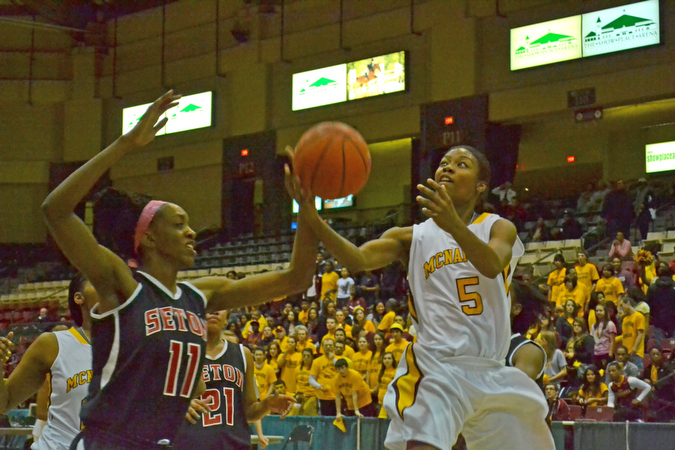 The Lady Mustangs won the next nine games and rode their way into the championship on a ten-game win streak. The WCAC Championship game took place at Robert E. Taylor Stadium at the University of Maryland on Saturday, May 14, and pitted the Lady Mustangs against the Knights of Bishop O’Connell. The McNamara squad has been led primarily by the nine seniors on the team, especially catcher Rose Shaver, who went 4-for-4 including a huge double to set up a scoring run, and shortstop Stephanie Ayres, who had two incredible diving catches for outs early in the game. The effort of these two along with the rest of the team gave the Lady Mustangs a commanding 3-0 lead going into the bottom of the fifth. This is where the game turned against the Mustangs. When O’Connell catcher Jillian Ferraro stepped up to bat, she was aiming for a routine base hit, but ending up getting a triple following a McNamara error, which also sent two runners home to make it 3-2. Following another base hit, Ferraro was able to score to tie it up. The Lady Mustangs were unable to score in the sixth, giving O’Connell the momentum for the last few moments of the game. Unfortunately, O’Connell utilized the momentum swing and dominated the bottom of the sixth, keeping runners on all bases throughout the inning. Luckily for the Mustangs, only one runner scored before they were able to get out of the situation, but it was imperative that they scored in the seventh and final inning to keep their hopes alive. Unfortunately, they were unable to do so and O’Connell won their eighth consecutive softball championship. A slideshow of all senior basketball players, by News Editor Matt Nunez ’12 and Entertainment Editor Luciana Rodrigues ’12. 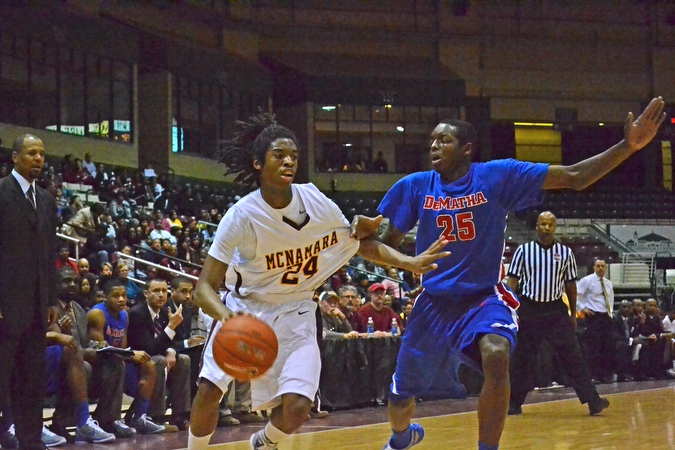 The championship-like rematch between the McNamara Mustangs and DeMatha Stags, held last Tuesday at the Showplace Arena, ended with a controversial call that left McNamara fans and players stunned, upset and wanting answers. Teacher Mr. Jeffrey Southworth, the announcer for Bishop McNamara basketball, said that during the Seton game the person controlling the clock was having trouble handling the horn (or “buzzer” if you will) and officials had to be called over countless times when the game clock and shot clock weren’t in sync with one another. 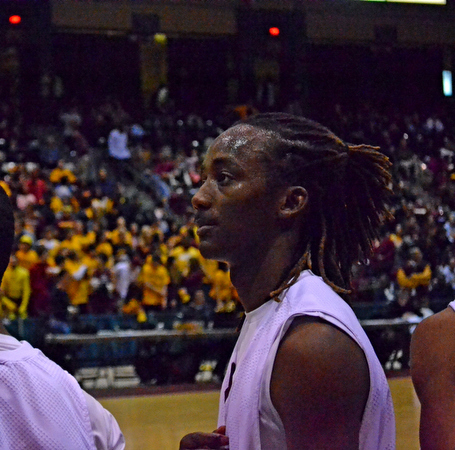 To his knowledge, that individual wasn’t affiliated with either team — Bishop McNamara’s shot clock and game clock handlers were denied access and told to sit in the fan section. Because of the those complications with the shot and game clock, they were seperated and worked on two seperate devices. Coach Martin Keithline stated that the game plan for DeMatha was to spread their team out and use the Mustangs quickness off the dribble to get to the basket. Also, zone defense and high pressure were going to be key because of DeMatha’s size down low and the quickness of their guards. The Mustangs certainly did that coming out strong on both sides of the ball, giving them a 3 point lead which increased to 7 by the end of the first quarter which led to a score of 16-9. In the second quarter, the Mustangs kept their lead with strong play from Ibn Muhammed ‘11, Marcus Thornton ‘11, Callon Dailey ‘11 and Stephan Jiggetts ‘13. The Mustangs ended the first half with a 35-21 score. The strong play of Dailey and Thornton helped the Mustangs hold on to a 9 point lead in the third quarter and the score at the end of the third was 49-40. However, the fourth quarter was when problems arose. 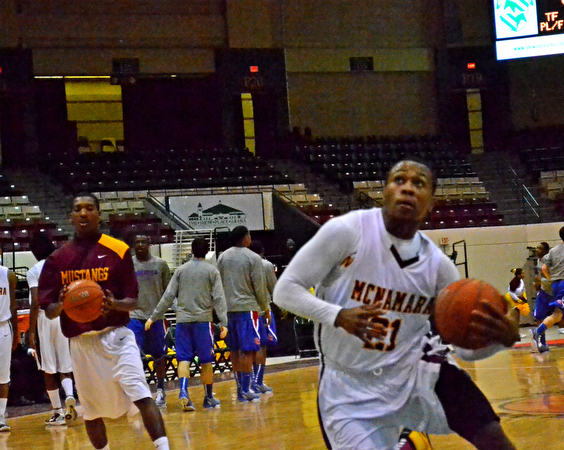 The Mustangs defense was overpowered by DeMatha’s size and the game got close a few minutes in. It was a back and forth battle down to the final seconds. 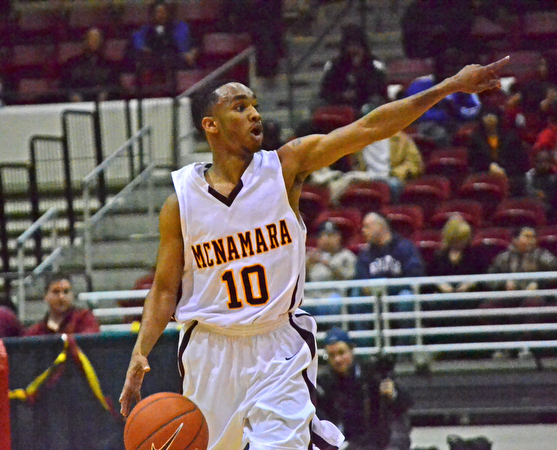 With 1.9 seconds left to go after a missed shot by Ibn Muhammed ‘11, DeMatha called a timeout. During the Inbound play, the ball was thrown all the away across court and then Dematha got a shot off but it missed and the game was going in to overtime, so the fans, players and coaches thought. Some how DeMatha called another timeout but what was strange about that was the referee next to DeMatha’s bench couldn’t hear the timeout being called but a referee all the way across the court heard it and 3 seconds were put back on the game clock. 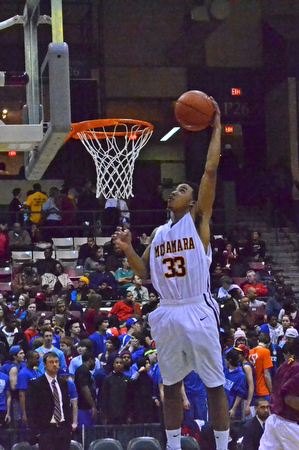 The game ended with Dematha getting a rebound tip-in which fell through and the game was over. The Mustangs have only a few games left on the schedule, but nevertheless they hope to get a chance to build momentum going into the playoffs.